The majority of the world’s population believes in some type of god. This god may be perceived differently in each religion. So when you—as an evangelical Christian—are talking about God to your different religion friend—their idea of god may not match up to yours. 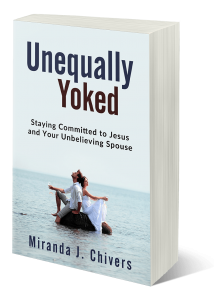 In my book “Unequally Yoked: Staying Committed to Jesus and Your Unbelieving Spouse” I discuss the importance of creating a bridge of understanding between viewpoint differences. You can easily do this by asking your friend questions about what they believe and why they believe it. Anyone passionate about their faith feels their way of looking at God is the right way. They won’t change their perspective without some ground shaking revelation. If we want someone to examine our faith then we must also look at their faith with an open mind. Questions—rather than statements—help move discussions forward quickly and effectively. Questions help to form bridges of understanding. These bridges are created when the other person senses you want to get to know their heart. Listening to an explanation of their faith helps you understand how well they view their own beliefs. Sharing your story after you’ve genuinely shown interest in them spurs them to consider other possibilities. Personal testimony is critical to shifting hearts and minds. Some people fear to learn another’s religious perspective. That hesitation might be rooted in a concern that you won’t be able to answer those difficult questions. You don’t want to sound like a babbling fool. Or perhaps you fear that their passion about their belief system is deeper than yours and consequently you think engaging in evangelism is pointless. Maybe you are well aware that you don’t know your faith well enough to share it. If talking about faith scares you—you are not alone. Honest heartfelt discussions can be intimidating. Faith is a very personal subject. Your best defense is to know your own faith well. If you don’t know what you believe–you are not going to convince anyone that you are sincere. How do you do that? Read the Bible. Study it. Memorize verses. Knowing pertinent passages will help you articulate your faith to others. If memorizing is difficult for you—research online Biblical sites. Make an easily accessible list of those resources. When someone asks you a faith-related question you can’t answer—google your favorite site and get the scriptural answer promptly. Secondly, practice sharing your story. 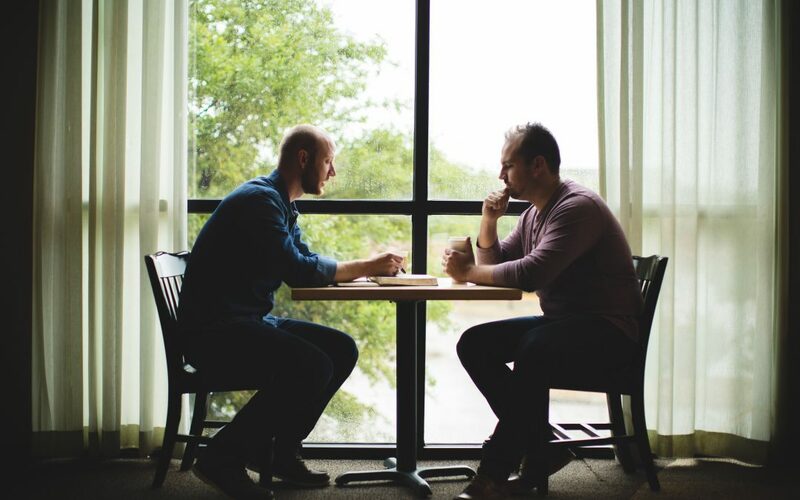 The more often you share your story—the more comfortable you will be in engaging in tough faith-related discussions. Jesus said to the people who believed in him, “You are truly my disciples if you remain faithful to my teachings. And you will know the truth, and the truth will set you free.” (John 8:31-32 NLT).